Why did my car fail the smog test after repairs were completed? 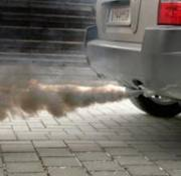 Even something as simple as changing the vehicle battery, or a car that has been jump started can affect the outcome of a California Smog Check, even though nothing is wrong with the vehicle! This is where it might get a little confusing. Let’s see if we can explain this is the simplest terms. This applies to vehicles produced for the US market from 1996 and newer. These vehicles are required to comply with a federal standard known as OBD II. Part of this standard requires that each vehicle’s computer system conduct a number of tests on itself and record the results of these tests in the memory of the vehicle computer. These self tests are called monitors. The smog machine will access the vehicles computer system during the smog inspection and check the status of the monitors. In order to pass this portion of the test all monitors must have completed its self test, and recorded the completion in computer memory AND NOT recorded a diagnostic trouble code (DTC) in computer memory. For 1996-1999 vehicles up to 2 monitors may be “incomplete” and still pass the SMOG CHECK. For 2000 and later vehicles only 1 monitor may be “incomplete” and still pass the SMOG CHECK. One more thing, if your vehicle has been the victim of a dead battery in the recent past then chances are that the memory, where the results of Monitor tests have been recorded, have been erased! The car will have to be driven a sufficient amount of time for these self tests to run again! To schedule your appointment today, please click here.